Description: Toby is a resident of Old Folk Forest, and is the pet of the Wooden Witch; Madame Abnoba. He is just an ordinary adorable owl, but in Yanside, that is not a common species. Owls are actually extinct in the world, or at least, they are thought to be. Scholars can’t pinpoint when or how owls disappeared, because even though the world went through a change where it is always set in perpetual dawn, the owls of the world would have just adjusted to that through evolution. But instead, they vanished. In reality, some owls do exist in the world, and some speculate that they came from a place where they consider it more their natural habitat, but it’s too dangerous to enter. Toby is one of the few owls of the world that actually doesn’t mind the dawn, and thus he spends his time there, particularly in Old Folk Forest where the Squites and Tremen are kind and the place is peaceful. At some point, he met Madame Abnoba and decided to stay with her as her pet. Although his calm demeanour enjoys the pleasantries of the forest, he likes to be a little rascal and play pranks on some of the residents just for fun. The Squite children love being near him and playing with him. Madame Abnoba is known for being a bit of a prankster herself, and thus the reason why Toby and her are pet and owner is because they like to get back at each other playing pranks, forming the oddest of relationships. When Toby feels he’s had enough playing, he finds a high enough perch and dozes off. Even though Toby is a predatory bird, he mostly hunts insects, not critters, and thus he’s a great assistant to the Squites in keeping the forest clean of infestation. 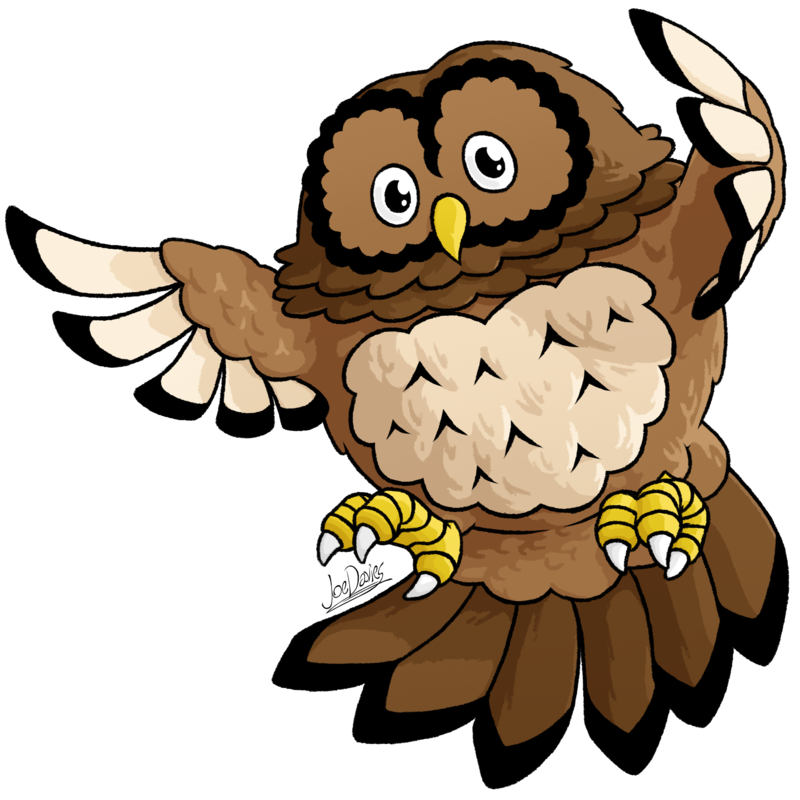 Appearance: Toby is a tawny owl, and his appearance is pretty normal when compared to others of his kin. He has a round egg-shaped body. He has little beady eyes and a cute beak in the centre of his round head. His wings are adorably small, but his tails feathers are surprisingly big. He has pretty strong talons for catching prey, but his claws are rounded sharp, giving him that cute predatory charm.